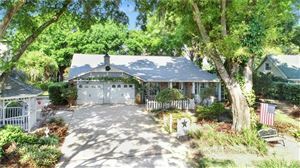 Jason & Dyan Pithers are highly regarded and experienced Tampa Realtors. They are full-time real estate professionals that service The Greater Tampa Bay Area. For the past 16 years, Jason & Dyan Pithers have helped many Buyers and Sellers with their real estate needs. We specialize in Residential Sales and Listings in the Greater Tampa Bay. From condos to mansions -- whether it's the South Tampa urban core, waterfront property, Tampa suburbs, lakefront homes, the beaches, equestrian property or vacant land -- we understand the complexities of all these different areas. We also work closely with a Commercial Expert to serve our client's commercial property needs. Consistent top producers, Pithers & Associates has closed approximately $566,118,556 million dollars in real estate since 2002 and as of December 31, 2018 representing approximately 1,690 transactions. We sold over $81.4 Million in Real Estate in 2018. As exceptional Tampa Realtors, we have consistently been recognized by Coldwell Banker as ranking in the top 1% of all Coldwell Banker Agents Nationwide & in the Florida 100 Coldwell Banker Agents. Residential Sales & Listing Services: From the moment we are introduced to you we are listening. Listening to what you need in your next home or what your goals are to sell your home or buy another second home or investment property. Relocation Experts: We are experienced relocation experts, whether you are relocating in or out of the Tampa Bay. We are certified relocation agents with all the top relocation companies, including: Cartus, Graebel, SIRVA, USAA Movers Advantage, Brookfield, Altair, Weichert Relocation Services, Cornerstone, MoveTrek, Navy Federal Credit Union, Vision Relocation, American Relocation, Plus Relocation, Paragon, Lexicon, Relocation Today. AIRES, WHR Group and many more. Don't forget as a relocating employee, you can always designate your relocation-trained agent as your listing or buyer's agent - it doesn't affect your benefits. Call us first to discuss your plans at 877-601-8732! Every real estate transaction is unique; an experienced real estate professional ensures a smooth transaction. 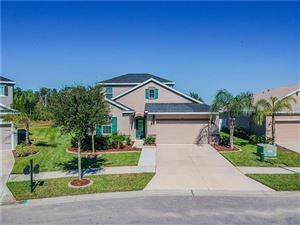 Choose Jason & Dyan Pithers with Coldwell Banker Residential Real Estate, a top ranked Tampa Bay Realtor that specializes in Tampa Real Estate and get the results and attention you need whether you are selling or buying a home in Tampa. Call now to discuss your plans, wish list and needs! 877-601-8732. The information contained herein has been provided by MFRMLS. IDX information is provided exclusively for consumers' personal, non-commercial use, that it may not be used for any purpose other than to identify prospective properties consumers may be interested in purchasing, and that the data is deemed reliable but is not guaranteed accurate by the MLS. Listings last updated Apr 20, 2019 12:51:am.